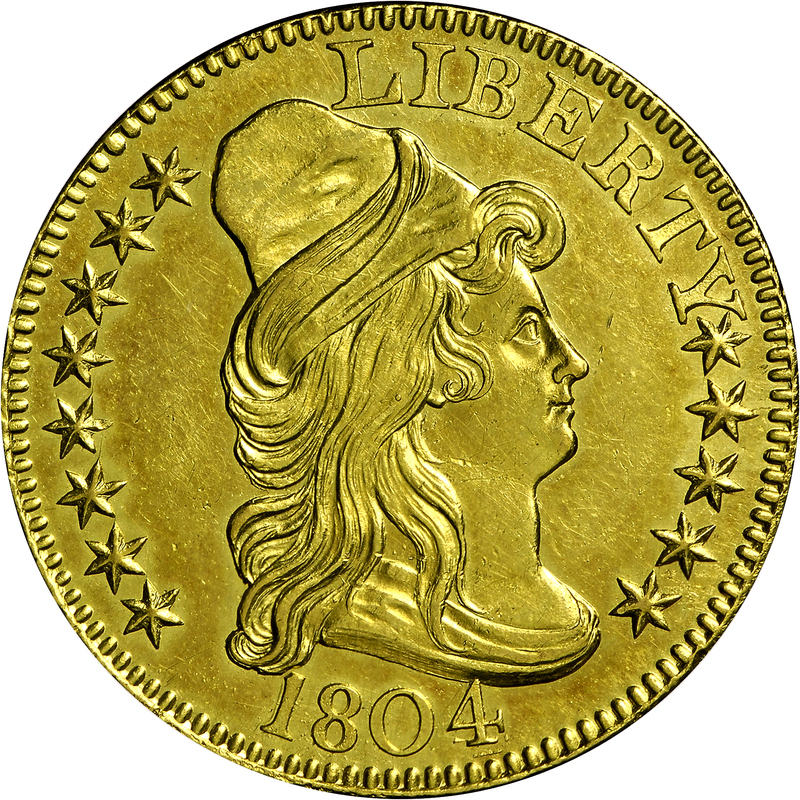 This die marriage was described by Walter Breen as 3-E. 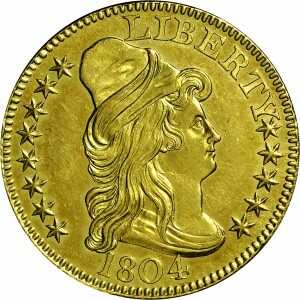 The obverse has digit 4 high and distant from 0, with evidence of recutting below base. This digit was first punched too low and then corrected. 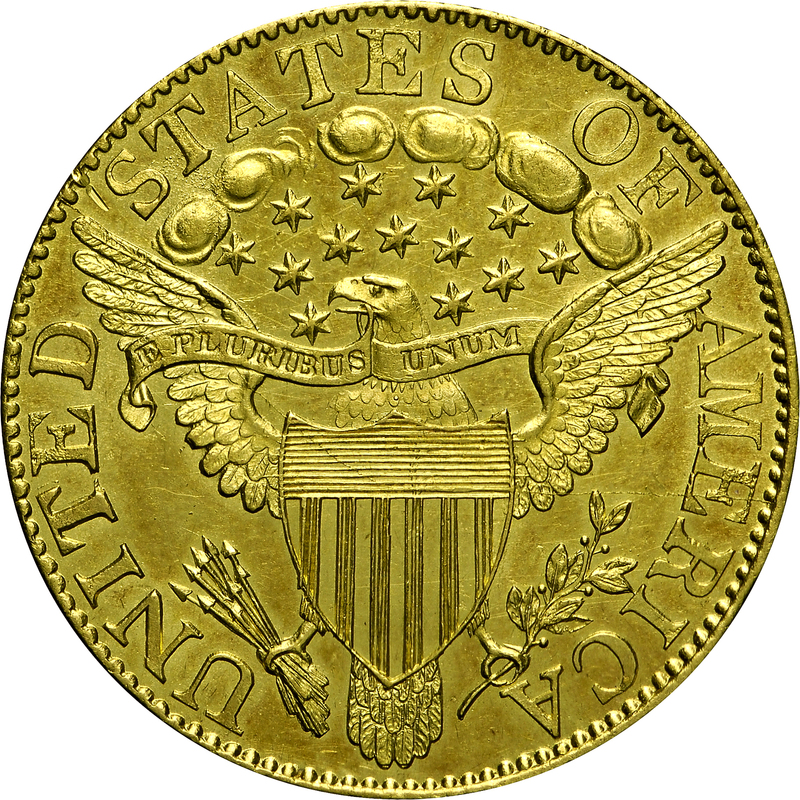 The reverse has the die crack through E of AMERICA as with other varieties sharing this die. Another die marriage described by Breen as 3-F apparently does not exist, as Breen’s description of reverse F and its die crack are virtually identical to reverse E.
Purchased from Herbert Tobias, October 24, 1972. "Obverse: Normal 8. Medium pointed top 4, repunched higher. Top overlies bust edge. Top left serif of 1 missing. Crack: edge - star 10 - towards mouth. 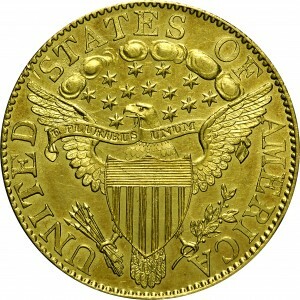 Reverse: That of 1803C, with crack: edge - (M)E - top leaf - feathers - shield - left shield point - right wing - edge. (I)T repunched left (with broken T punch having no lower right serif) over thinner T punch."